For many years now, some people have been quick to claim that single-player games are dead or dying. But we continue to see the release of excellent and successful titles that lack a multiplayer element, including God of War, whose director has been sharing his thoughts on the matter. Speaking to IGN, Cory Barlog said that games which offer only solo experiences aren’t in trouble—far from it. "Single-player games are the phoenix at this point," he said. "We go through the ebb and flow. Games change by the different creatives that get involved and say, 'I have this crazy idea.'" The incredible rise of the Battle Royale genre, including PlayerUnknown’s Battlegrounds and Fortnite: Battle Royale, combined with weak sales of titles such as Prey, Dishonored 2, and Deus Ex: Mankind Divided has worried those who prefer story-driven, single-player games. But Barlog says they can both exist alongside each other, and that there shouldn’t be a rivalry. 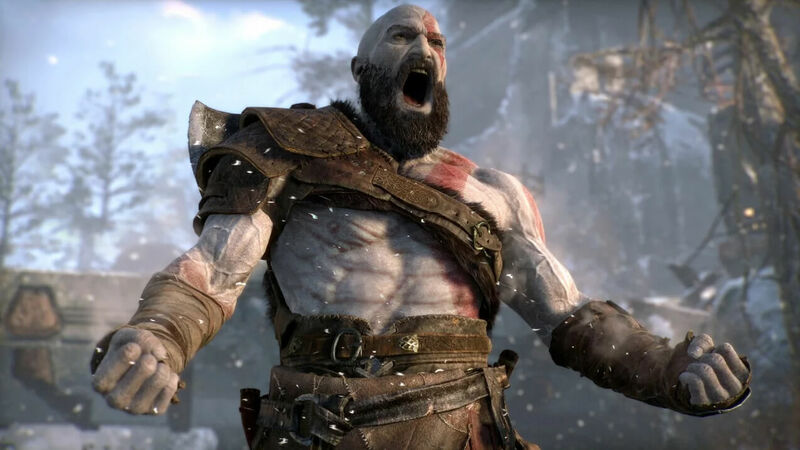 Sony announced recently that God of War had become the fastest-selling PlayStation 4 exclusive to date, having sold 3.1 million units within three days of its release. Barlog hit the headlines last month when he posted an emotional video on YouTube, which showed his initial reaction to God of War’s Metacritic score. Seeing it called one of the best games ever released on the PlayStation 4 while boasting a Metascore of 94 moved him to tears of joy and relief. "...some people have been quick to claim that single-player games are dead or dying." Who the heck is dumb enough to think that? Yea there are some games that are fun to play with other people and all but single player is always great to get away from it all and be creative, interact with a story, etc. Also, my mind was in the gutter apparently when I read "Solo experiences" and giggled. I'll admit that I am finding the multiplayer competitive seen a bit boring. On the flip side single player story driven games don't hold my attention for long either. I would really like to see more story driven multiplayer games, where you can walk through a story together with your friends and family and share the experience together. Games Like Diablo 3, Army of Two, Left 4 Dead, are in very short supply. Thank God! A designer that actually gets it! Let's Clone him ..... FAST! Brock Kane, Mr Majestyk and Capaill like this. Fallout4, Skyrim, Witcher 3 would like to say a few words. Brock Kane, Mr Majestyk and Danny101 like this. Who the heck is dumb enough to think that? Multiplayer games are much easier to monitize. There's an agenda with that. Makes sense since the game becomes more of a service than a product. The ones saying something in particular is "dead" is just trying to make us feel worthless and sway people in their personal direction. Kind of like the whole "the PC is dead" doom and gloom fallacy for decades and counting. I guess they succeed in giving me a laugh? The only time something is "dead" is when there are no retailers or developers making the product. There will always be a cult following if anything becomes popular though. My game, my rules. The only game that needs multiplayer mode is Bishi Bashi. EA and Activision/Blizzard to be specific. Some high profile executives said that multiplayer is what moves sales in video games. Considering that Activision/Blizzard makes money from World of Warcraft, Overwatch, Destiny and Call of Duty while EA makes money from Battlefield (and Front), FIFA and NFL. Coupled that with GTA V Online and the success that has been PUBG... yeah multiplayer is where the money is. PS: mutiplayer has a huge advantage over single player. The latter offers little incentive for piracy as it depends on also pirated servers. Those are hard to come by. Single player on the other hand once pirated can lead to reduced sales. Now if you ask me there is clearly market for both. Gaming is a niche industry. It will always be splintered. People will gravitate to certain types of games. It's also a growing industry. Those getting older don't play as much, but still do play, and there are more customers being added every year. If publishers neglect genre's, boredom will set in and people will find other things to do. Thank god some out there is still fighting for us. I mostly hate multiplayer, especially in today's troll infested world. I'm not saying I won't play it, but single player should be an afterthought like say in Battlefront or not even an option. I love games like Fallout, Witcher, Crysis, Skyrim etc.